Issue: The federal government shutdown in late 2013 affected many stakeholders in Arizona, including tourists who had planned Colorado River rafting trips in the Grand Canyon. Tactics: During the shutdown, the STRATEGY forty-eight team actively consulted with elected officials at all levels of government to ensure the Grand Canyon River Outfitters Association and other local affected parties’ message was coordinated and effective. 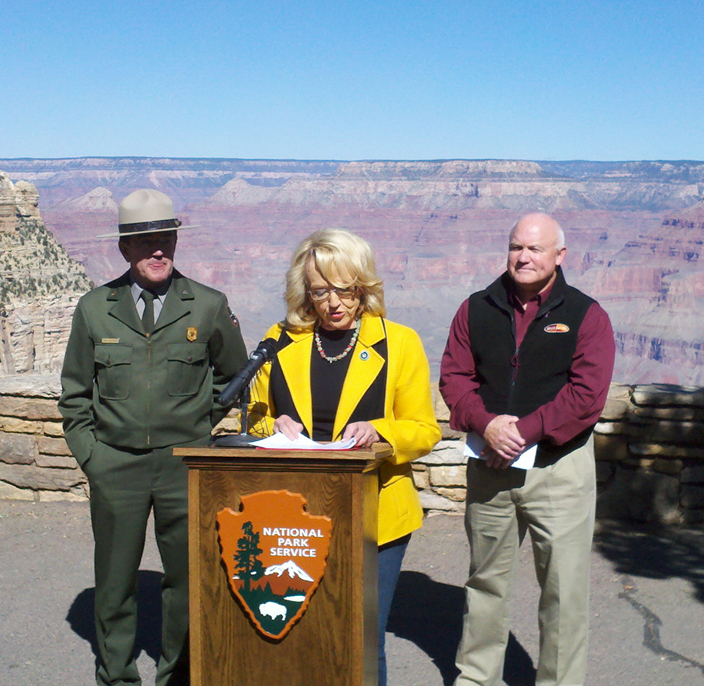 It was critical that decision makers clearly understood the ramifications of the shutdown for Grand Canyon National Park stakeholders, and that local groups were willing to be a part of the solution. The STRATEGY forty-eight team also worked closely with the nearby town of Tusayan and its Town Council on a third-party donation strategy that included a council approval of $200,000 in additional funds to open at least a portion of the Grand Canyon and Highway 64, and helped raise additional funds from local area businesses to add to the Town of Tusayan’s efforts. As the GCROA negotiated with National Park Service officials on rescheduling canceled planned river trip allotments, the STRATEGY forty-eight team worked closely with Governor Jan Brewer’s staff on issues regarding the impact on GCROA members and provided them with updates on specific impacts to launch points and financial impacts from canceled trips. As the shutdown garnered intense nationwide media coverage, the Strategy48 team proactively pushed information to media outlets, including the Arizona Republic, Associated Press, Williams-Grand Canyon News, and provided media handling to local stakeholders prior to interviews with national media outlets. Result: After 11 days, Governor Brewer reached a deal with the Department of Interior to reopen the Grand Canyon before the rest of the federal government. The unity on prominent display shown by local stakeholders and elected officials was truly impressive. Without such a coordinated, hard-charging effort, the Grand Canyon may not have reopened until the federal government did.